For the past few days, I've been seeing some few people on social media telling me to dial *479# that I'll be given 1GB free data on my Airtel line. Actually, I dialed the code and I got a message from Airtel that I have free 1GB, and also asking me to recharge some certain amount in order to unlock 250MB for the week. Seriously, the 1GB data is not actually free. Some people had failed to read and understand the text message sent to them but quick to spread incorrect information. That's the main reason why I am writing this post. 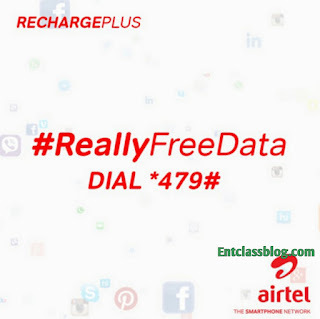 Airtel Nigeria took to their social media page to announce Airtel Recharge Plus *479#. In this post, I'll quickly explain how this works. 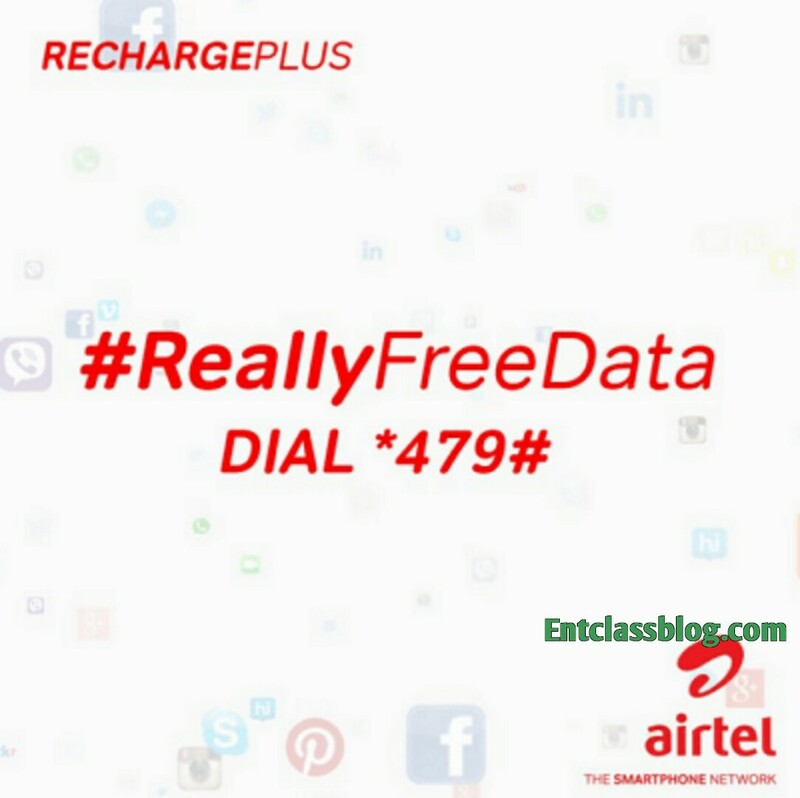 Just dial *479# to get 1GB data on your Airtel line. 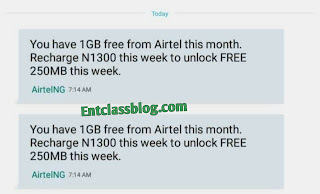 To unlock the free 1GB, kindly recharge the said amount you saw in the text message sent to you after dialing *479# in order to unlock 250MB for the week. Note: This is not coming from Atiku, this is from Airtel.